As SDP/SI continues to grow and serve the needs of our varied customers, Michael’s mission-focused leadership, engineering, and supply chain experience will help guarantee that SDP/SI meets and exceeds expectations. Stock Drive Products/Sterling Instrument (SDP/SI), a leader in comprehensive motion control and small power transmission solutions, announces the appointment of Michael Yandolino to Sr. Sales Engineer. 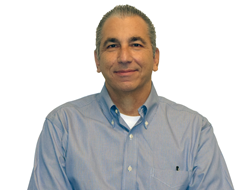 Michael Yandolino is an industry leader with a wealth of experience in the engineering and manufacturing arena. In his new role, Michael Yandolino will lead and manage the growing portfolio of national and international accounts; ensuring customer’s needs are met based on our corporate objectives. “As SDP/SI continues to grow and serve the needs of our varied customers, Michael’s mission-focused leadership, engineering, and supply chain experience will help guarantee that SDP/SI meets and exceeds expectations. SDP/SI is committed to providing engineered solutions through development, production, and delivery of goods and services that consistently conform to, or exceed, customer requirements,” said Doug Kerester, SDP/SI’s Vice President, Sales and Marketing. SDP/SI, ISO 9001:2015 + AS9100D certified, offers mechanical based design, engineering and manufacturing services for critical motion control and small power transmission applications, including aerospace, defense, robotics, industrial automation, and medical. Over 100,000 standard inch and metric small mechanical components are available for fast turnaround. SDP/SI specializes in high-quality machined parts, molded components, synchronous belt drives, precision gears and subassemblies. For more information go to: http://www.sdp-si.com.